The best of Covent Garden including places to eat, drink, and shop… it’s not just for tourists ya know! 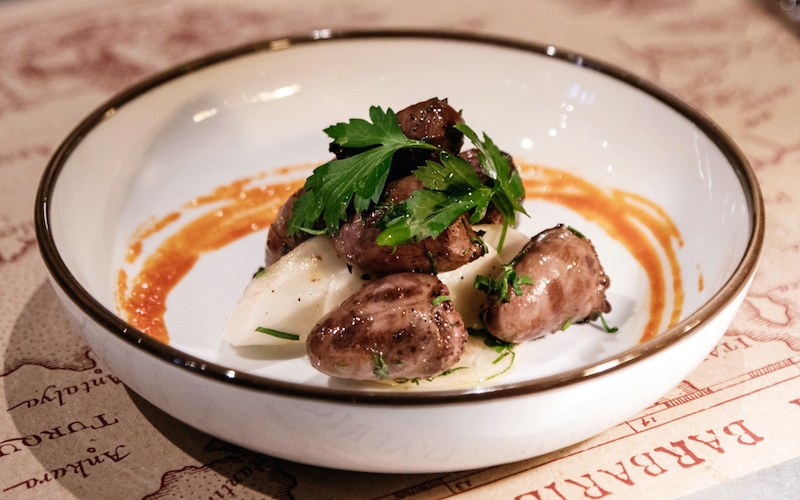 The Barbary is situated in the iconic Neal’s Yard and offers food inspired by countries that span the Barbary coast. 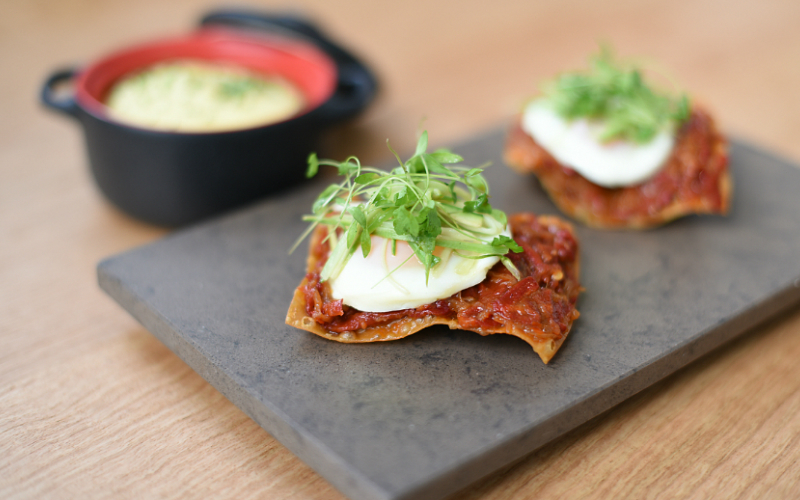 Its dishes are made for sharing and kicking off with the freshly baked super light naan and dips is always a good start. Don’t miss the Moroccan cigars which are deep fried pastry rolls filled with a spicy cod mix. And then there’s the cauliflower Jaffa style which is incredible. It’s one of the best of Covent Garden but expect queues. Cora Pearl, the Covent Garden sister to Mayfair’s Kitty Fisher’s, is named after another working girl Cora Pearl and there are nods to her glam life throughout the space. Not only does it look beautiful, the restaurant is turning out faultless food, from Bloody Mary mackerel to cheese & ham toasties to veal fillet with bordelaise sauce. 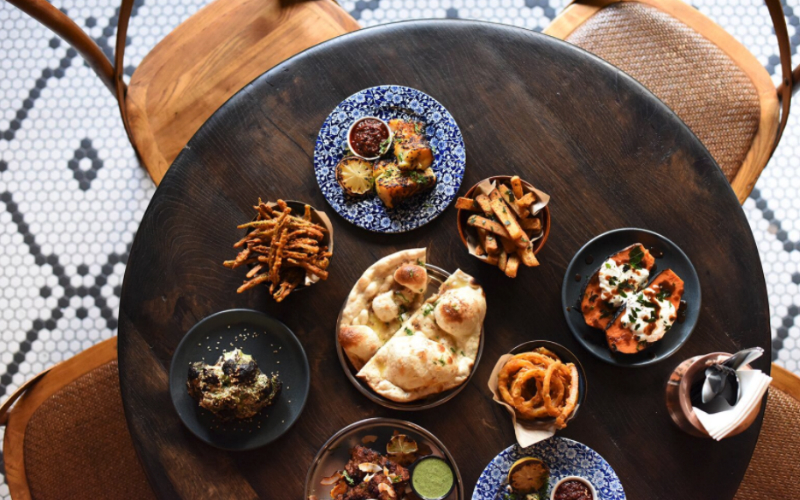 Tandoor Chop House is upping the game for Indian food in the capital, combining a traditional North Indian communal eatery with a classic British chop house. The tandoor oven is the star of the show and you can expect dishes to include tandoori chicken masala, beef bolti, Amritsari lamb chops and tandoor masala pollock. Covent Garden Grind will have you hitting up the coffee-come-cocktail bar for more than just drinks. 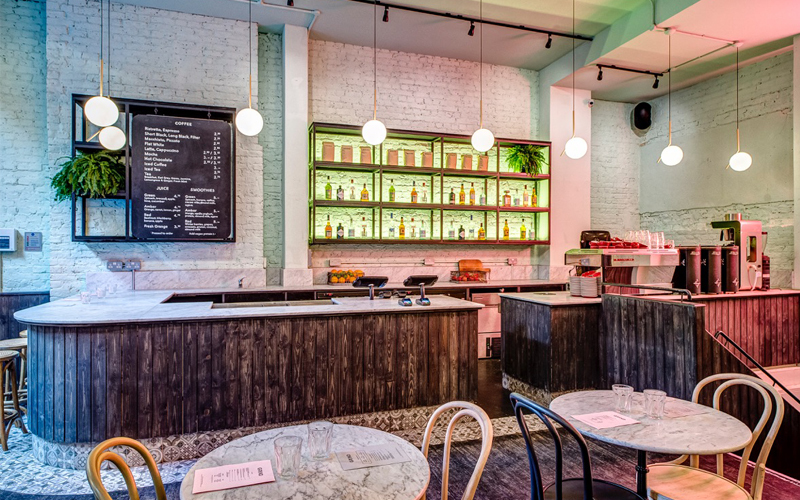 As usual, Grind has all your coffee and cocktail needs taken care of. Aussie brand Bailey Nelson’s glasses are designed by the in-house team, made by hand using the best materials sourced from across the globe. They have a wicked selection of frames that are pretty fash and actually do look amazing. And you can get an eye test and glasses ready for collection in less than a week. The Barbary is situated in the iconic Neal’s Yard and offers food inspired by countries that span the Barbary coast, from Israel to Morocco. Its dishes are made for sharing and kicking off with the freshly baked super light naan and dips is always a good start. Don’t miss the Moroccan cigars which are deep fried pastry rolls filled with a spicy cod mix, and then there’s the cauliflower Jaffa style which is incredible. It’s a bloody great dining option in Covent Garden, but with only 24 seats and food this good, expect queues. Having started small in Covent Garden, Oystermen is now thankfully a bit bigger thanks to them getting the next door premises and knocking the wall down. 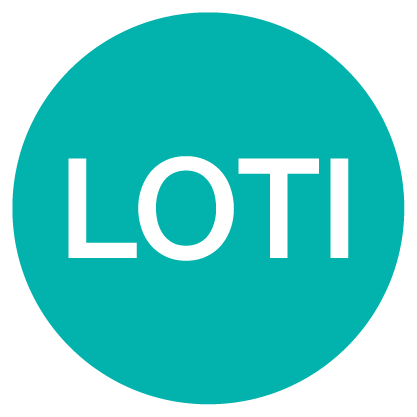 Here you can get oysters and pretty impeccable seafood in smart but relaxed unpretentious surroundings without emptying your wallet either. 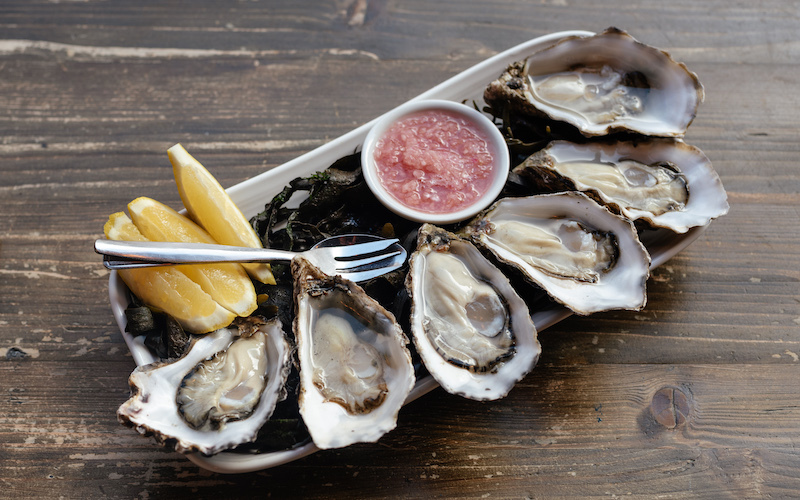 They’ve got more than oysters of course and the other must-order snacks and starters for us include the anchovy toast with confit garlic and lemon; the smoked mackerel; and the Portland crab thermidor. Mains were spot on too and we can definitely recommend the Newlyn hake with Cornish mussels, devilled mussel veloute and lovage oil, and the braised cuttlefish orzo with braised onions, aioli and red butterfly sorrel. Oystermen is an absolutely fantastic little place and easily one of the best places to eat out around Covent Garden. 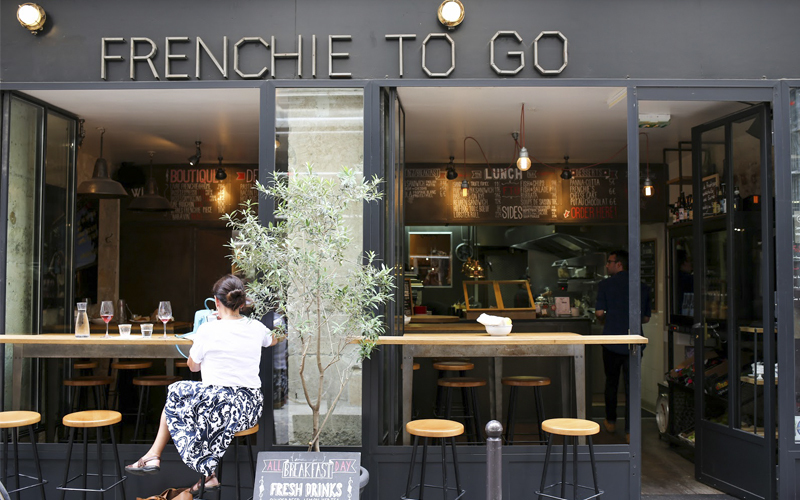 The London Frenchie is a bit smarter than its Parisian counterpart, with sleek marble surfaces, leather booths and lots of polished brass. The food is modern and beautifully presented, but this isn’t a style over substance kind of place – it has fur coat and silky red knickers to match. We’re talking dishes like freshly baked sweet maple scones, duck foie gras with rhubarb and smoked eel, and braised pig head with smoked bramley apple, jerusalem artichoke and buckwheat. The vibe of this Jidori is very similar to the Dalston original, with simple, light wooden furniture and pastel green tabletops although sadly there’s no open kitchen set up here….they do have a karaoke room in the basement though! 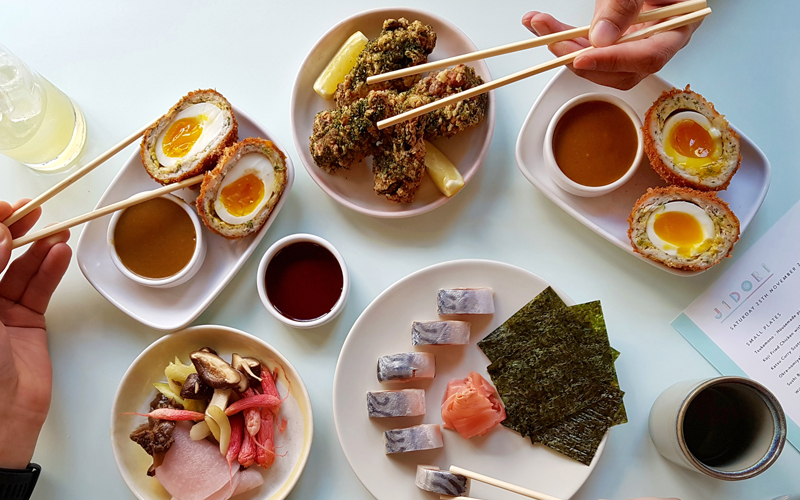 All the menu classics, like the katsu curry scotch egg, salmon tataki and yakitori, are all present and correct, as well as new additions green tea noodles with yuba and kikarage and a grilled onion salad with red shisho and ume dressing. Cora Pearl, the Covent Garden sister to Mayfair’s Kitty Fisher’s, is named after another working girl Cora Pearl and there are nods to her glam life throughout the space, from parquet floors and velvet banquettes to vintage style glassware and trinkets in the bathrooms. Not only does it look beaut, the restaurant is turning out faultless food, from Bloody Mary mackerel to cheese & ham toasties to veal fillet with bordelaise sauce and possibly the most EPIC chips in London. 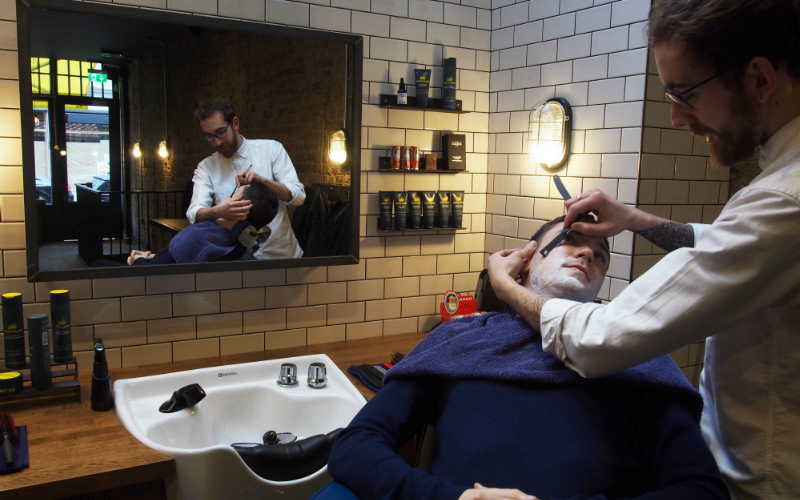 You don’t just go to Ruffians for a quick trim, you go for an experience. You can get a coffee or a bourbon and you can enjoy a seat by the open fire…yep they have an open fire right in the middle of the barbers. With exposed brick work, animal skulls, and cages acting as lockers for everything from cups to coats, it all looks very cool. The cuts, beard trims and close shaves are all done properly too, and there’s zero pretentiousness here. Garbstore stocks some of the coolest threads in town and its location in Covent Garden is half store, half store Reebok museum, with a designated exhibition space that displays ten original trainers, and more rare findings. A must visit for all sneakerheads. 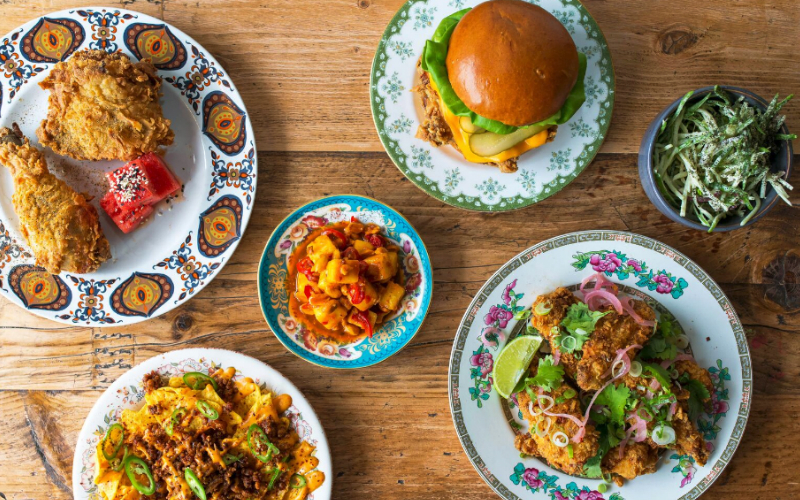 The Seven Dials branch of Chick ‘n’ Sours is worthy addition to the family, with all the same birds and more on the menu. On the chick front, the tenders have been given an Asian twist with punchy Xian Xian spice, coriander and sesame, there’s also big new bun aka The Colonel, and the Mexi-nese nachos are also a winner. It’s a feast worth flying in for. After branching out from Richmond, the Petersham Nurseries team transformed a 16,000 sq ft Floral Court spot into a lifestyle destination that celebrates nature, seasonality and slow living just like the original. 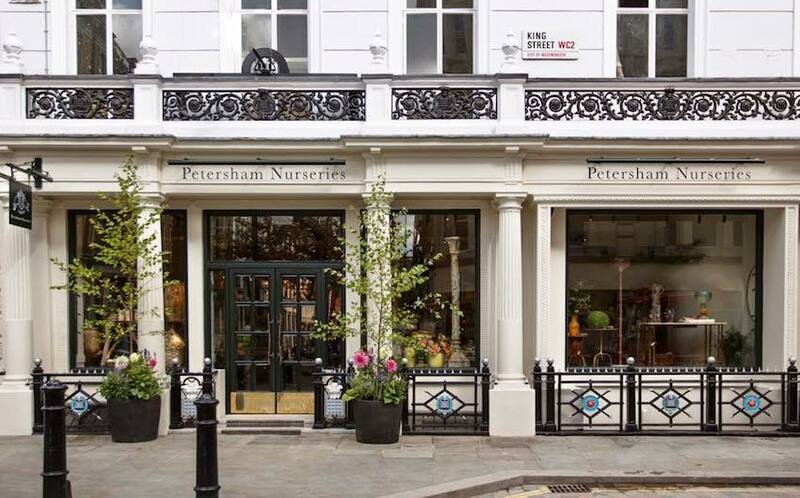 There’s a home and garden shop, deli, wine cellar and florist, as well as The Petersham, an à la carte restaurant and La Goccia, a more informal spot. Eneko Atza, whose three Michelin-starred Bilbao restaurant Azurmendi is no.16 in the World’s 50 Best, is the man responsible for Eneko. 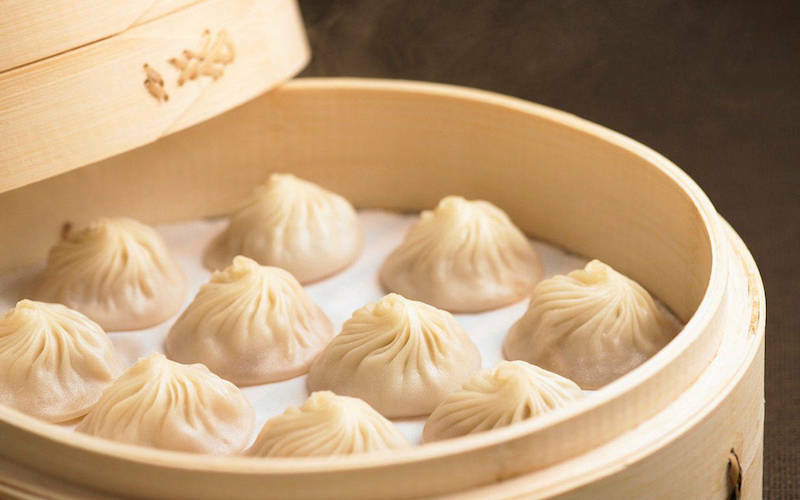 It’s a more relaxed vibe, but fortunately he hasn’t gone too casual – service is slick and the cooking creative, with some presentation tricks you’d certainly associate with Michelin fine dining. There are some impressive dishes here, like roasted Iberico presa with chickpea and garlic cream and hake in a light tempura – go basque in it. The warm and inviting space of Margot has been designed beautifully with classic green leather banquettes, elegant decorative tiles, and a long zinc bar in front of an open kitchen. 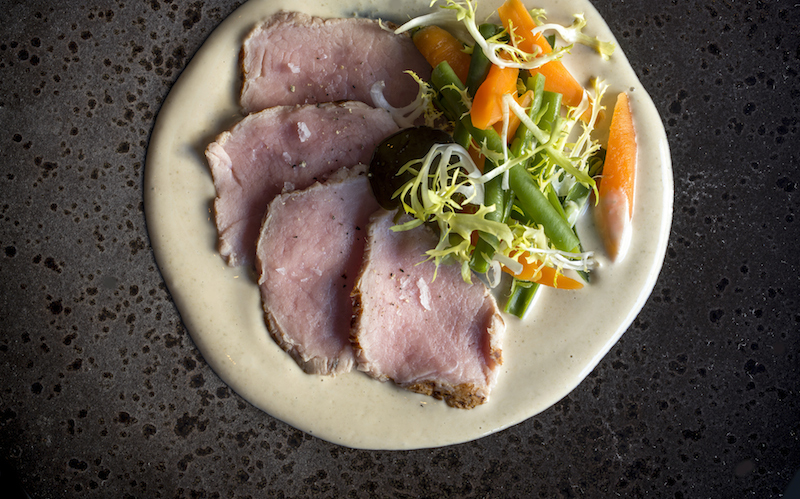 It serves classic Italian fare, from cured meats, carpaccio and tartare dishes to salads, homemade pasta and a range of meat and fish main courses. You’ll defo be wanting a least a couple of those fresh pasta plates. 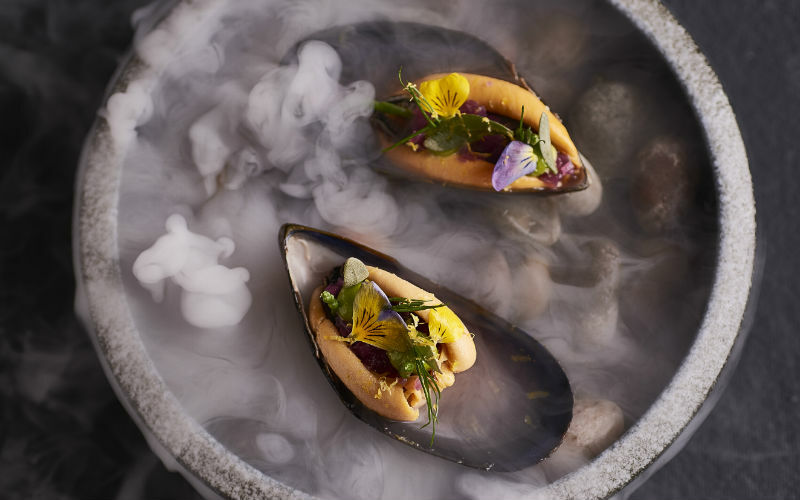 The sister site to the East London outpost of The Frog, Frog by Adam Handling offers the same flair when it comes to the cookery in a little more sophisticated setting. 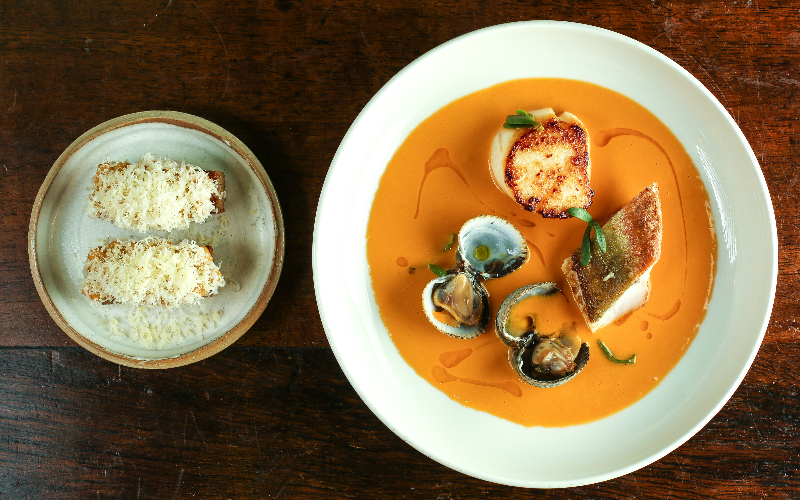 There’s a real eye for detail in every aspect from the drinks coasters to the very cool cutlery, and the food is incred too, with dishes complexly put together but in an effortless way…think hake, tomato and crab sat in a warm pea jus and chicken, broccoli and miso. YUM. Aussie brand Bailey Nelson’s glasses are designed by the in-house team, made by hand using the best materials sourced from across the globe, and in their words “won’t gouge your eyes or wallet”. 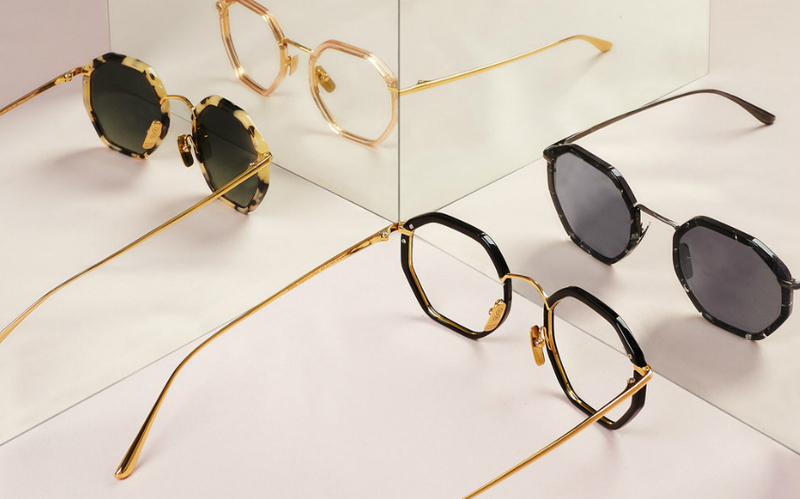 They have a wicked selection of frames that are pretty fash and actually do look amazing, and you can get an eye test and glasses ready for collection in less than a week. Now that’s service. Translating to ‘kiss’ in Spanish, Beso describes itself as a gastronomic kiss from Morocco to Spain, serving up tasty Moorish Mediterranean cuisine. 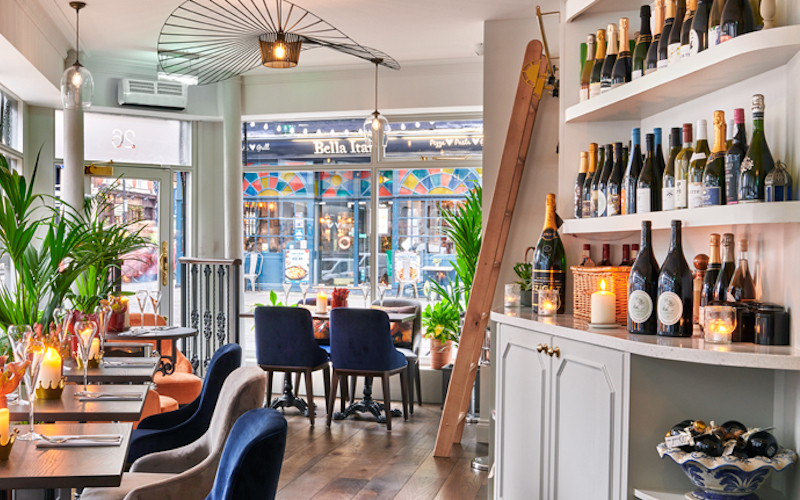 Located on Shaftesbury Avenue, the decor is styled around Peter Behrens’ famous The Kiss painting with added elements of the Med including a large mosaic table and cave style areas on the lower floor. The restaurant allows guest to be relatively hands on, with option of seats at the fire bar, where you can watch head chef Khalid hard at work and you can also take part in wine tasting and matching in Beso’s own wine cellar. Food wise, don’t miss the crispy chickpeas, the marinated anchovies, the smoked mackerel pate and the grilled lamb cutlets with smoked aubergine begendi, crispy kale and cumin. Fancy a soft serve ice cream on a bed of candy floss?? 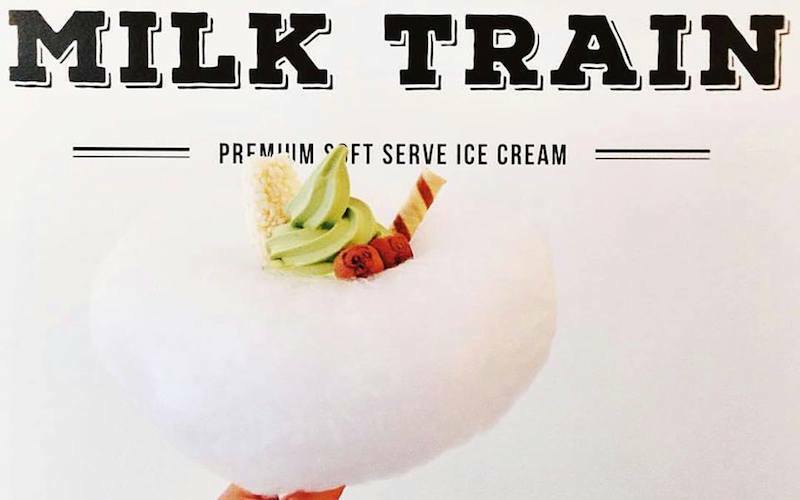 Oh yes it’s a thing at Milk Train Cafe; the ice cream spot that serves up vanilla, matcha and hojicha soft serve on clouds of candy floss. It’s the sugar rush – and the insta – we can’t get enough of. Covent Garden Grind will have you hitting up the coffee-come-cocktail bar for more than just drinks thanks to their modern British dinner menu, with small plates like salt cod brandade with garlic crostini, smashed sweet potato, spiced nuts and yoghurt, and hot apple crumble sundae. As usual, Grind has all your coffee and cocktail needs taken care of, the signature Grind Espresso Martini is a real winner…it’d be rude not to have at least one. Run by Carole Bryon, Lady of the Grapes focuses on female winemakers, with more than half of the organic, natural and biodynamic vinos on the 80-strong list made by women. 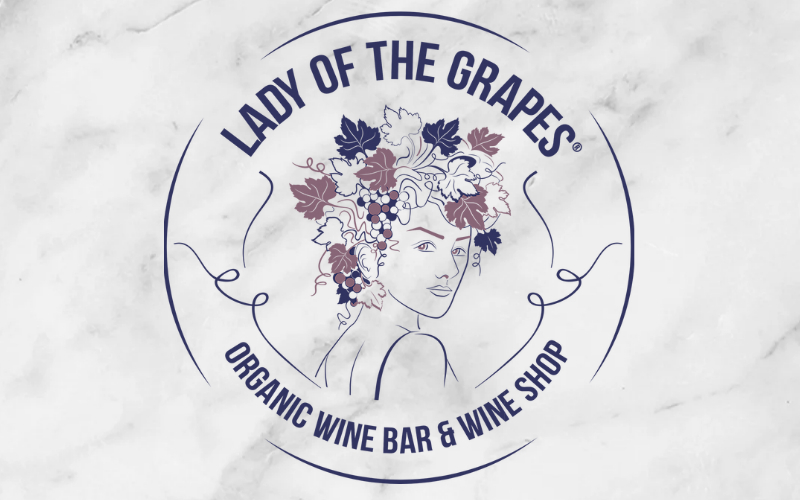 As well as the wine (which you can buy to take away), Lady of the Grapes also serves a food menu designed by Victor Garvey of Rambla. It’s seasonal and regularly changing, with a mix of sharing boards and larger plates on offer, so expect dishes like mussels and clams with bone marrow, and steak tartare with ceps and kohlrabi. If you can’t sit in, there’s be a deli full of cheeses, charcuterie and other grocery produce so you can pick up everything you need for a wine night at home. 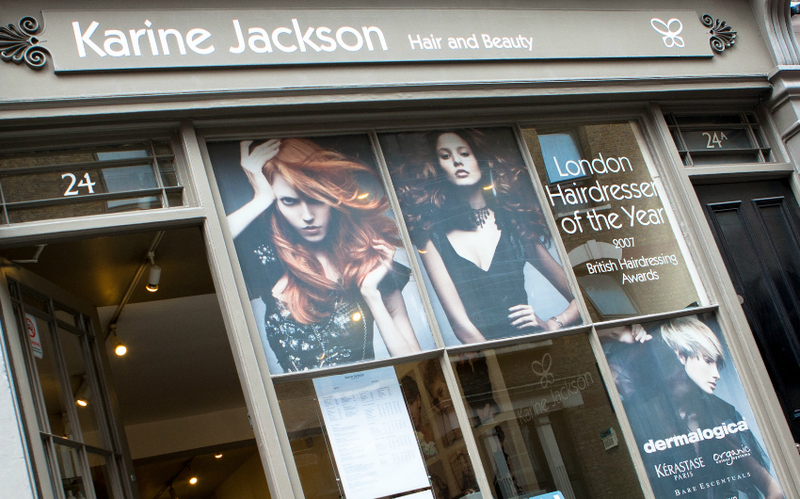 If you’re after a new dye job, Karine Jackson is the salon for you. They keep it organic and ethical with a vegan colour service using Organic Colour Systems and Unite products. The colour is gentle and nourishing so your hair actually feels really soft after the treatment is over, and you can even get a make-up consultation too to help you work out what’s gonna go best with your brand new colour. The Harp is a favourite of ale drinkers and was even named pub of the year by CAMRA (campaign for real ale) in 2011. It’s slap bang in the middle of London making it an ideal meeting point, although it is quite tight on space inside. 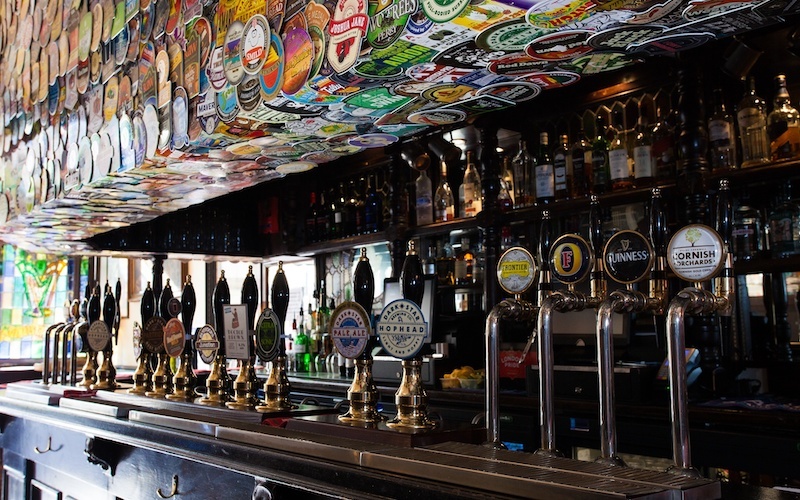 The walls are covered with old oil paintings and the bar plastered with old beer mats from around the world which we love. Yes you will be sharing the pub with fusty old ale nerds but it’s a great spot regardless – especially if you are an old ale nerd yourself. 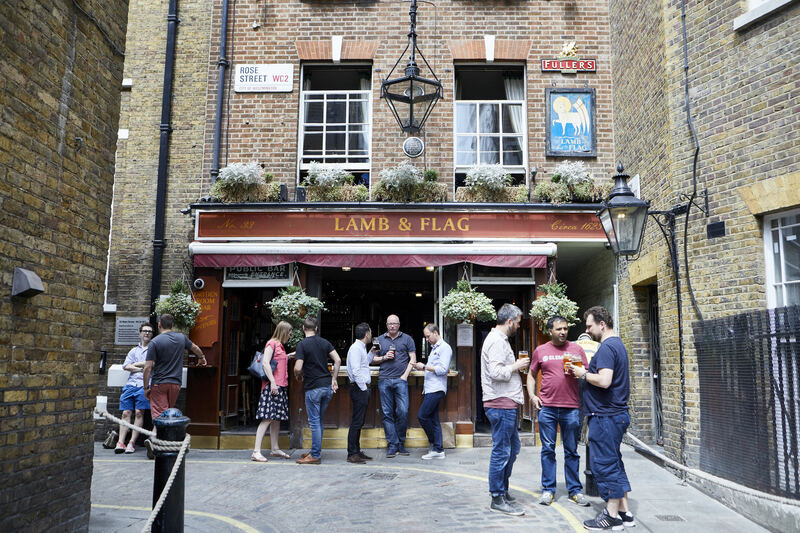 Another rare gem in Covent Garden, the Lamb and Flag is on a site that’s had a pub in one form or another since 1772. We love the tiny alley that runs down one side of the rickety old building, which is also charmingly rickety inside with its classic Victorian design. The pub is owned by Fuller’s now so their ales and beers feature prominently and there’s also a fairly standard menu of pub grub too. 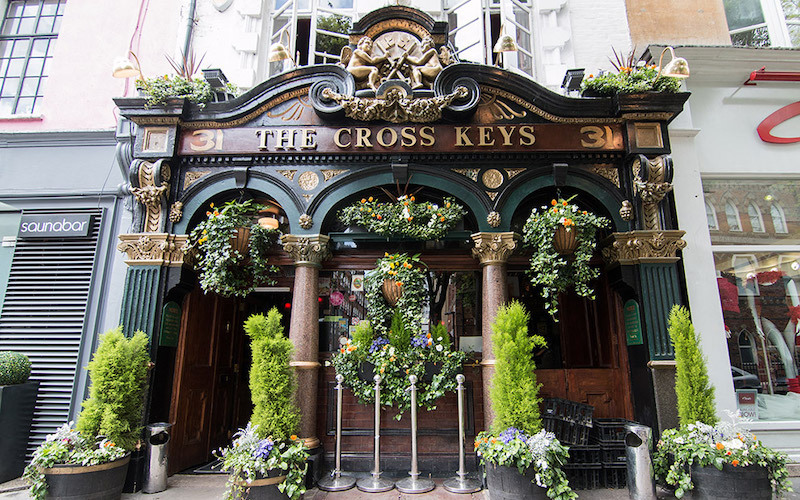 Tourist-focused Covent Garden isn’t known for having that many great pubs but the Cross Keys on Endell Street is a gem. If you haven’t been in before you’ll definitely have noticed its facade which is absolutely covered in plants and shrubbery. The ‘busy’ visual theme is continued inside with a dark interior that’s absolutely covered in bric a brac, with everything from oil paintings to old instruments and brass kettles adorning the walls. Grays & Feather (who you may have seen at Southbank Food Market) stock a huge library of bubbles from around the world, allowing you to discover fizz from small and experimental winemakers as well as sip on more familiar varieties. You can expect a good showing from English sparkling wine makers too. 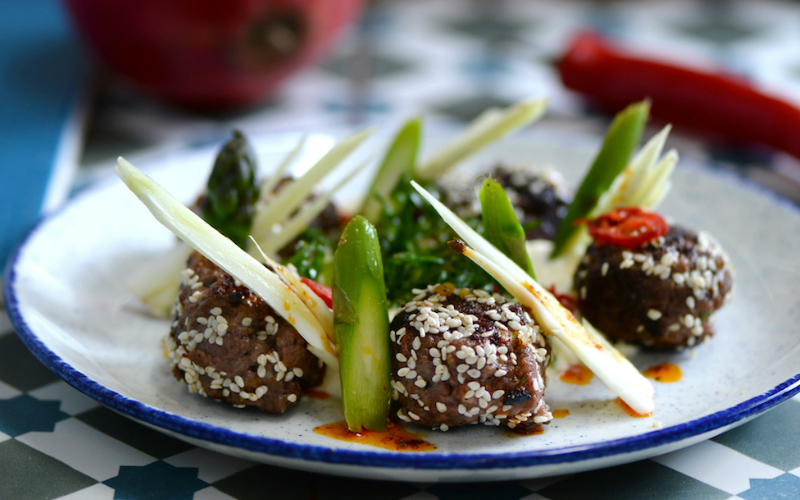 They also serve a menu of global small plates to go alongside the wine. As you might guess from the name, Terroirs is all about showcasing wines that best reflect where they come from and the practice of the winemaker that made them, so expect to find plenty of natural, biodynamic and low intervention varieties. There’s a big focus on France but the list also features vino from Europe and the New World, and there’s a decent selection available by the glass and carafe too. 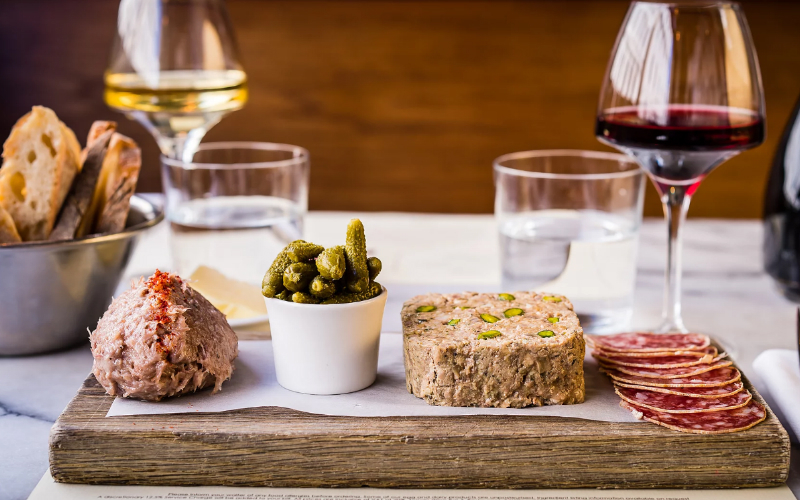 Terroirs hosts weekly tastings, suitable for those new and old to wine, and the restaurant serves up a bistro menu featuring cheese, charcuterie and plates like duck confit with quince and pangrattato salad and halibut with artichokes and pickled leeks.